Call to owners! Are you a property owner in Malta and you’re finding trouble renting your property or maintaining the price you want? Quicklets to the rescue! You might be going through a tough time getting clients and real estate agents might shy away from filling you in on some reasons why your property is less attractive than others. Here at Quicklets, we want you to know the truth, the whole truth and nothing but the truth. Here are five tips you might want to follow before blaming real estate agents, real estate agencies, or the market! 1. Stage your property for rent for photos and when estate agents come. This is an extremely important point for renting your property in Malta. Make sure that when agents come to list your property, you clean up any mess that there might be. Any mess. Seriously, any clutter left around looks completely out of place on photos and will reduce your chances of renting property in Malta. Have you ever bought something online? If yes, the first listings you probably clicked on are the ones with photos, and primarily, the ones with nice photos. Your property for rent must follow suit! Estate agents will do their best to take the perfect angle and include all the perks your property for rent comes with – but you must first lay down the foundation for that to happen. No clutter! Oh, and lest we forget – the toilet seat should always be down! 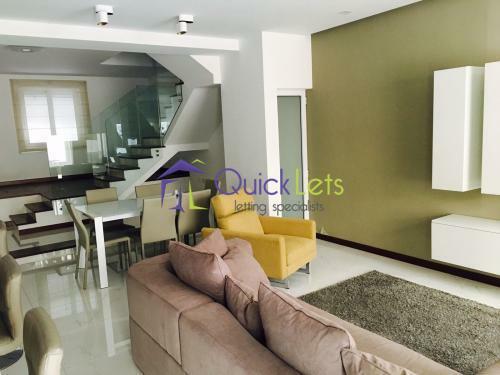 Quicklets estate agents are always ready to come and list the property for you, taking photos and making the best come out of your property. 2. Contact real estate agents more often for your property to rent in Malta. Get in touch with real estate agents and let them know when your property will be coming available. Make sure you contact estate agents closer to available date. Your property in Malta is one of thousands which come available for rent, so it needs to stand out amidst other properties for rent in Malta. At Quicklets, we’re always ready to upgrade your listing according to the available coming date. Get in touch with us today to get your property for rent on our books! 3. When making the contact, always provide precise and relevant information for your property for rent in Malta. Other property specificities: views, utilities and appliances, useful amenities in proximity (grocer, bank, bus stops, bars and restaurants). 4. Upgrade furniture and/or utilities in your property for rent. A major part of renting your property in Malta and retaining its renting price is tied down to how modern your furniture is and the utilities the property has. These include air-conditions, televisions, Wi-Fi upgrades, etc. A modern touch to your property for rent will make it more attractive to clients who have several options within their budget range. If you’re not ready to make changes to your property for rent in any way, then drop the prices – you’ll rent more! It’s better to rent out your property for 12 months at 900eur TODAY, rather than wanting to keep the price at 1,200euro NEXT MONTH, actually you make 360 EURO MORE! Many other properties in Malta come available, and if they are more modern and offer more utilities than your property for rent in Malta, at approximately the same price, then yours is less likely to get rented. You might get a call from Quicklets agents to ask for clients with a lesser budget to come and view your property. If you have had a couple of dry months, we strongly advise you to rethink the price and keep your property for rent full instead of empty.